Britain is counting down to a change of Prime Minister following the release of Theresa May's disastrous 'brexit deal' where nearly every British red line has been watered down towards nothing in what amounts to a 585 page suicide note that triggered Tory MP's to start sending letters to the party's 1922 committee where the requirement is for a minimum of 48 letters to trigger a leadership contest that will likely be announced sometime next week as I have covered at length in the following article and video. The conclusion of which is a forecast of who is the most likely person to become the Next Tory Leader / Prime Minister out of the following 5 most probable contenders, with Jacob Rees-Mogg deemed to be the favourite followed closely by Boris Johnson. 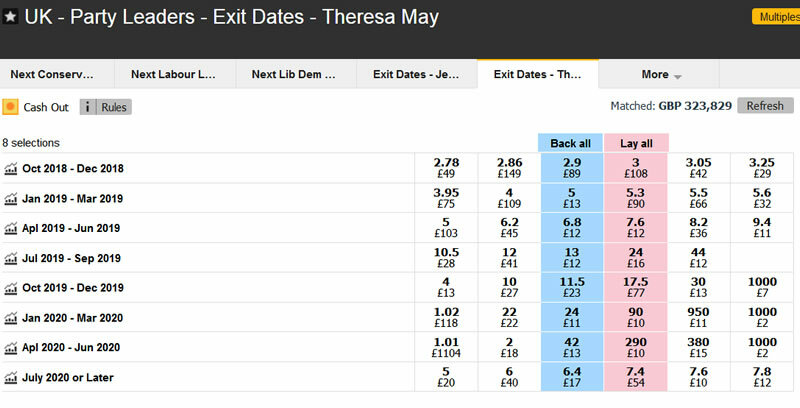 So lets take a look at what the betting markets (Betfair) are saying in terms whether Theresa May can survive a leadership challenge and if not who is the money being put on, and how it compares against my forecast. 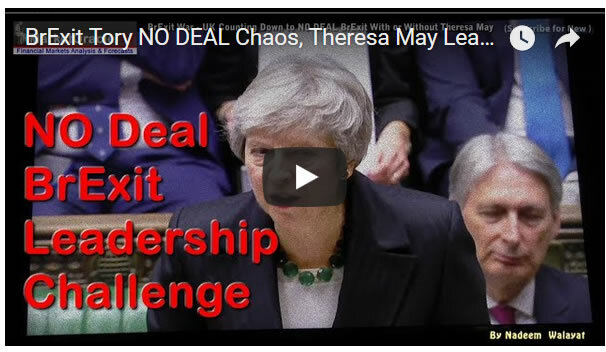 The most betting is on Theresa May leaving before the end of December 2018 and thus supporting the view that she will not survive a leadership challenge. However, the market price of 2.9 is not a very high probability i.e. for a high probability the market would be trading at 1.5 or less. Similarly alternative dates are not that distant from Oct-Dec 2018 i.e. Jan to March 2019 is trading at 5. So whilst Oct-Dec 2018 has the most money bet on it, in reality given the ranges it is not even a coin toss where Betfair is concerned. Firstly there is no clear favorite to win a leadership contest. Instead there are a group of 4 similarly priced contenders all trading at near 8.5. And then comes a long list of contenders which includes Jacob Rees-Mogg at 15.5 and David Davis on 17. 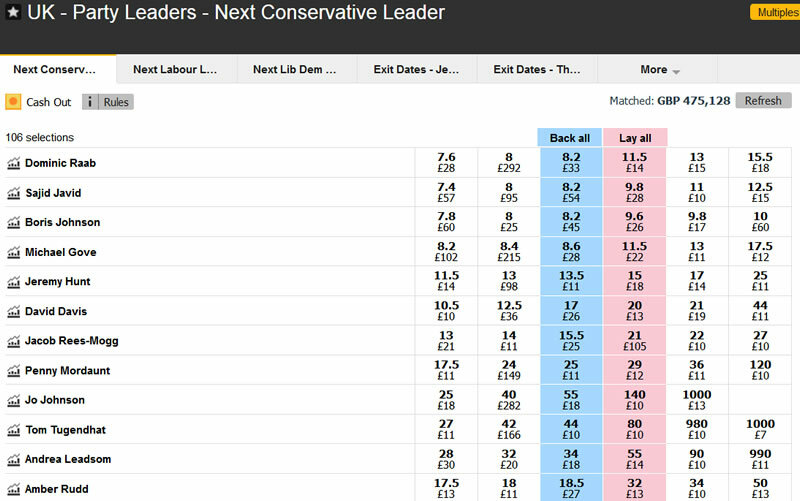 So the betting markets are not giving any clear indication of who could take over from Theresa May, it's literally a case of placing chips on roulette table and waiting to see which number the ball falls on. Which is set against my forecast of the favourites being Jacob Rees-Mogg and Boris Johnson.